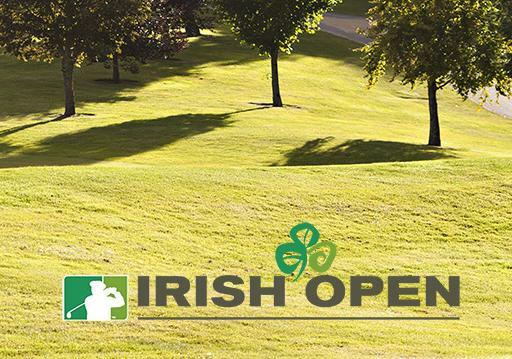 The 2014 Irish Open will make its return to Cork for the first time in 12 years when Fota Island Resort plays host from the 19th to the 22nd of June 2014. Fota Island is no stranger to this event having hosted back to back opens in 2001 & 2002 and the entire county of Cork is extremely excited to welcome this great event back to Ireland’s second largest city. There will be a wealth of top golfing talent on display over the course of the four day event with double major winner and world number 8 Rory McIlroy already expressing is excitement at the prospect of competing. It is difficult to say at this early stage who will be favourite to walk away with the 2014 title of Irish Open champion but 2013 champion Paul Casey will undoubtedly mount a strong defense of his title. This will be no easy feat however with strong competition from of the worlds top touring professionals from both the European and US Tours taking part in the event. Tickets are on sale now with day admission tickets available or the option to purchase a full tournament pass for all four days. The 2013 event which took place in Carton House Co Kildare attracted over 81,000 spectators over the course of the four day event, 2014’s open is expecting to attract similar numbers and demand for accommodation across Cork will be as result very high. Silver Springs Moran Hotel Cork is located just 15 minutes from Fota Island Resort and is the perfect choice when traveling to the 2014 Irish Open. After a long day of following Rory McIlroy or Padraig Harrington around the course you can enjoy a delicious meal in the Watermarq Restaurant and a relaxing drink in the Lobby Bar with views over the river Lee. For more information on the hotel or to make a booking you can visit our website HERE. 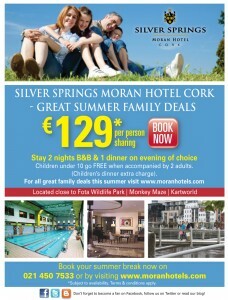 The Silver Springs Moran Hotel is one of the most child friendly hotels in Cork with special young diner’s menus, family rooms and accommodation for children under 12 is free! This family friendly hotel in Cork has a number facilities to make sure your little ones’ stay is as good as yours! 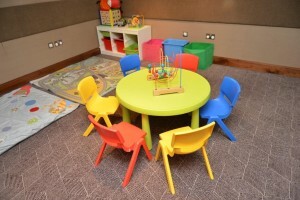 At The Silver Springs Moran Hotel we have a Kids Play Zone section which is located beside our reception area. This is a room with toys and board games where your kids can enjoy play time while staying at our hotel. What Can Be Found In The Room? Includes: 1 Night B&B & 1 day family ticket to Fota Wildlife Park. Includes: 2 Nights B&B, 1 Dinner & 1 day family ticket to Fota Wildlife Park.